Fred Lake is 1 mile long & ½ mile wide. 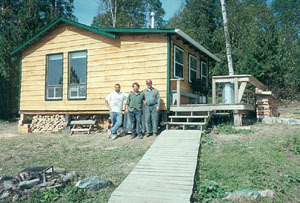 It has a rocky shoreline with quality Walleye fishing. The average depth is 15 feet with spots at 30 feet deep. Northern Pike up to 40 inches. Mozambik Lake – Located 200 yards from Fred Lake. 6 miles long and 1 mile wide, it is a weedy, high action lake lake with depths of 10 to 15 feet. Walleye in the 1.5 to 2 pound range and excellent Northern Pike fishing that has produced fish up to 44 inches in length. 2 boats and motors. Walleye & Northern Pike. Kabiskagami Lake – 20 minute walk from Fred lake. Lake Trout. 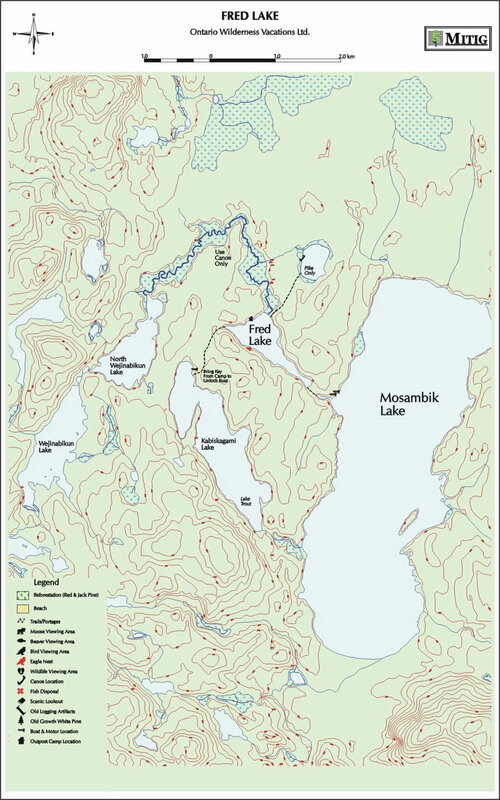 Pike Lake – Located just North of Fred Lake, 1 canoe. Northern Pike.